The late-night host dissects the "life cycle" of the modern political flub. 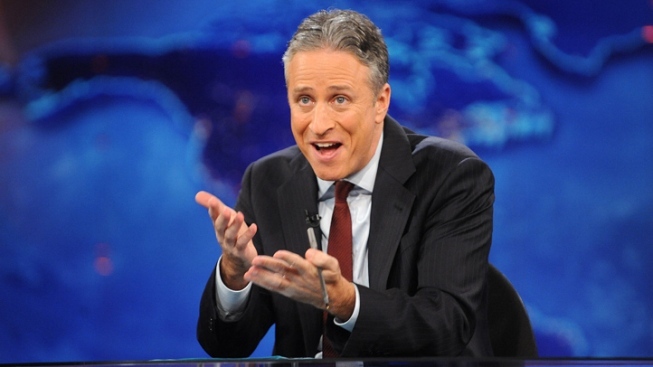 Jon Stewart has had enough of all the chatter about political "gaffes." Last Friday, President Obama remarked to reporters at a press conference that "the private sector is doing fine." Shortly thereafter, Obama's ill-advised turn of phrase was the centerpiece of a new Romney campaign attack ad and a full-on assault from the GOP establishment. On Monday's edition of "The Daily Show," Jon Stewart took the cable news media to task for perpetuating a seemingly endless cycle of political "gaffes." As a clip from "The Lion King" played, Stewart jokingly explained the "life cycle" of the modern political flub. "An exploding gaffe population forces each individual gaffe to fight desparately for dwindling resources," Stewart said. Stewart attributes the gaffe explosion to the "gaffe-tronomists" at the major cable news networks, who chart the ups and downs of the presidential election season as a series of bloopers and blunders. The late-night host reserves special contempt for the swiftness with which Obama's "doing fine" gaffe was exploited by the GOP. Before the weekend was out, Obama's "doing fine" remark "had already grown into a full-fledged political attack ad. It seems like only yesterday it was just a gaffe," Stewart said. "But the truth is, it wasn't even yesterday—it was two and a half [expletive] hours ago!"